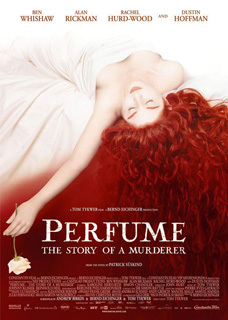 Perfume the story of a murderer (2006) is a movie directed by Tom Tykwer with Ben Whishaw playing Jean-Baptiste Grenouille, Dustin Hoffman as Guiseppe Baldini, Alan Rickman as Antoine Richis and Rachel Hurd-Wood as Laure Richis. This drama thriller movie tells about the life of Jean-Baptiste Grenouille who owns a sense of smell very well developed, this particular gift leads him to make the perfect perfume by using the natural odor of young women. Starting your first day at catalunya square, walk down via the portal de l´àngel avenue until the plaza nova where you will discover the cathedral of Barcelona (plaza seu 3) at the Ciutat Vella district, there is a scene on the avinguda de la cathedral in which Jean-Baptiste was following the irresistible scent of a young woman selling plums. Crossing the old bridge which goes to the City Hall, you will stop first at sant felip neri square. To reach it, take the first small street on your right after the bridge, here by frustration to not be able to keep her odor, he strangled her. Now take the other exit and walk until the sant jaume square but before to turn right to the ferran street, take the small street on the left side of the City Hall then again the first street on your left which will lead you to the Sant Just i Pastor church (plaza sant just 6). On this square, the bishop was talking to the citizens and telling them that it is time to stop those killings, to find and to arrest the murder. 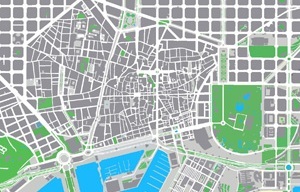 After that, it is the good moment to walk on the ferran street towards las ramblas. Try to grasp the smells like him, he was smelling the odors of all people who crossed him. 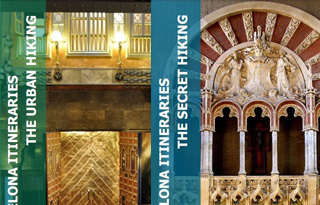 Just a little before to reach la rambla, there is a way on your left which goes to the reial square. It was here that he discovered for the first time a perfume shop and the perfumery by profession. 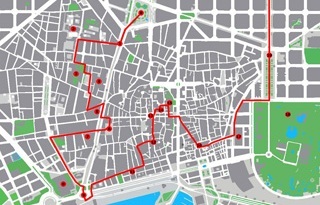 To end the day, the next stop will be the merce square by walking down la rambla street so since there is nothing related to the film, just enjoy the walk. At the end of it, instead to cross the street, take the street on your left which should be josep anselm clavé street. Keep straight and you will reach easily this important square. Important because it was the birth place of Jean-Baptiste at the beginning of the movie and his death place at the end. For the 2nd day, let´s start the morning by visiting the laberint d´horta park (passeig castanyers 1-17) at the Horta Guinardo district. 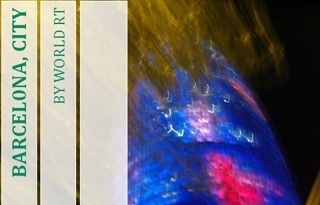 To go there, take the metro L3 at catalunya square direction trinitat nova and get off at mundet station. The mansion of the Richis´s family was located inside and there was a scene in which Jean-Baptiste was watching Laure Richis cutting a rose at her window. Once you will finish the visit, take back the metro and go the opposite direction and get off at espanya station to discover the poble espanyol (avinguda de francesc ferrer i guàrdia 13) at the Sants Montjuic district for the last visit. This village could be seen almost at the end of the movie where he was going to be executed in public on the main place but by throwing his handkerchief with his last perfume, he provoked a surprising aphrodisiac effect that all people on this place started to make love. Just a little note before to close this itinerary, the movie is an adaptation of the eponymous best seller from the german writer Patrick Süskind edited in 1985. In case if you don’t want to watch the movie but read the book.